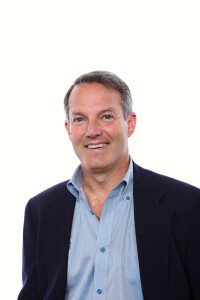 Scott M. Dubin received his BA from Stanford University in 1985 and his law degree from The University of Chicago Law School in 1988. He litigated for six years with Brobeck Phleger & Harrison in San Francisco, and a small, public interest law firm in Washington, D.C. Scott has been a legal recruiter since 1995 and formed The Dubin Group LLC in July 1999. Scott has placed hundreds of attorneys with law firms and companies in San Francisco and Silicon Valley and is particularly known for building in-house legal departments. Scott’s corporate clients are a “who’s who” of Silicon Valley and include companies such as Autodesk, Google, eBay, Genentech, Lenovo, Intel, salesforce.com, and Gilead Sciences. Scott has placed partners and associates with a host of prominent firms such as Cooley, Davis Polk & Wardwell, Fenwick & West, Gibson Dunn & Crutcher, Latham & Watkins, and Wilson Sonsini Goodrich & Rosati. However, Scott prides himself on also finding the perfect attorney fit for smaller firms like Abbey Weitzenberg, Bergeson LLP, Carroll Burdick & McDonough, Munger Tolles, Pillsbury & Levinson, Cox Castle & Nicholson, and Silicon Legal Strategy. Scott has counseled Harvard Law Students about the Bay Area Legal Marketplace through Harvard Law School’s Office of Career Services’ “Ask the Experts” Program since 2014. When not engaged in legal recruiting, Scott is fully occupied with his wife, three children (and dog), Stanford football and San Francisco Giants baseball. Read a Law Crossing interview with Scott here.